Our school uniform is to be worn with pride by all members of our school community both in school and also whilst travelling to and from school. 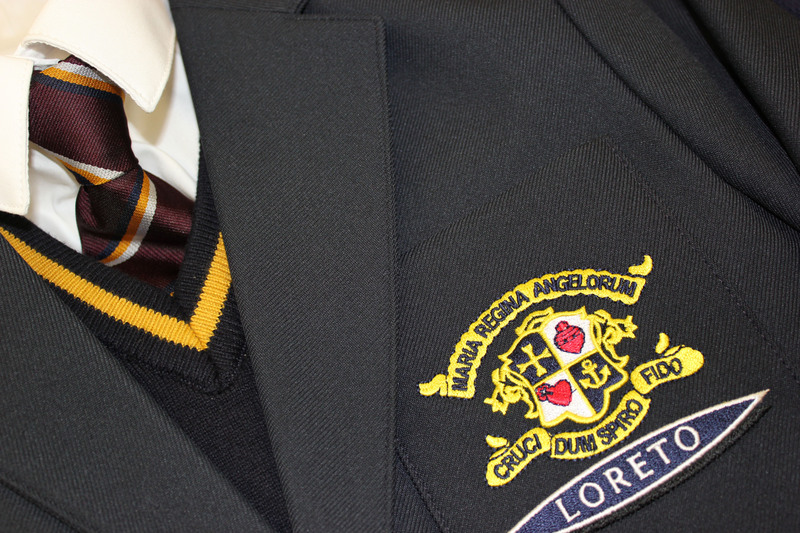 When wearing their uniform students must remember that they are ambassadors for the Loreto community. In order to maintain high standards and to make life easier for parents and carers we have a school uniform shop in school which can be accessed daily via our office staff. The shop is run on a not-for-profit basis so the uniform prices are relatively low. 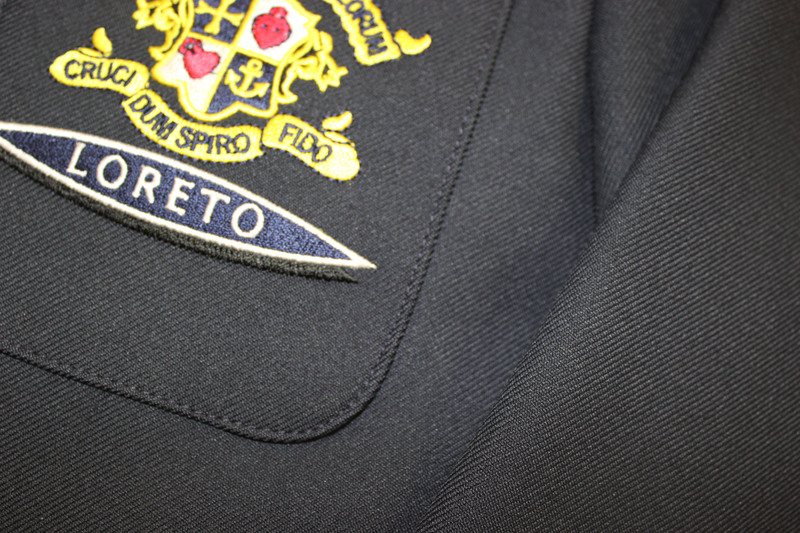 The uniform shop is open on several days during the summer holidays to enable new starters to try on and purchase the uniform. Either: Black school skirt no more than two inches above the knee. Tight skirts of stretchy material are not permitted. Or: Black tailored school trousers; Black jeans or tight fitting leggings are not permitted. Black shoes – The shoes must be of leather or leather look material. The preferred style is flat with a strap or lace up. Trainers or trainer type shoes are not permitted. 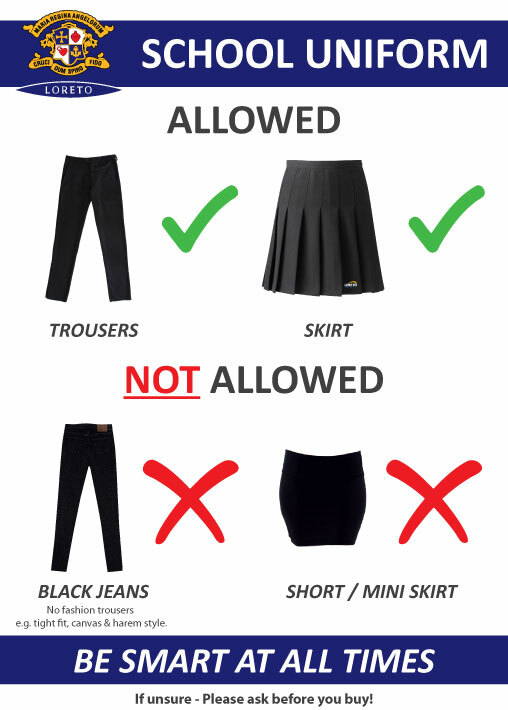 Black tailored school trousers; Black jeans are not permitted. Head scarves / religious head wear should be plain coloured material, not pattern printed / multicoloured. 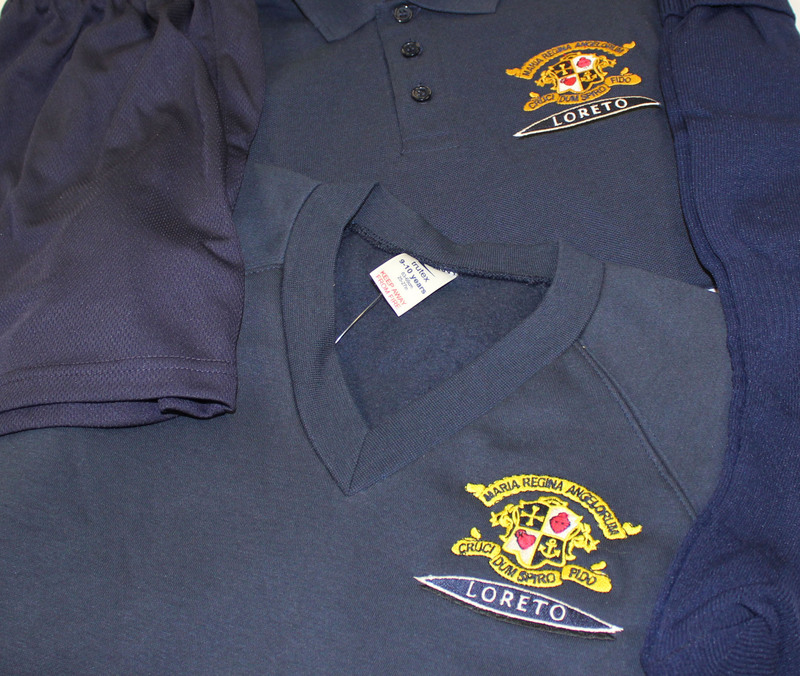 All PE kit should be Loreto branded, leggings are not allowed. 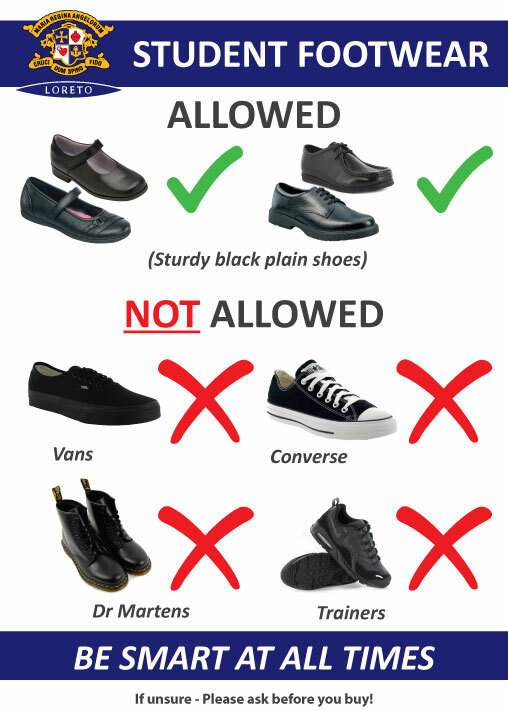 If you are unsure about a pair of shoes, please see guidance posters or your pastoral leader before purchasing. A simple cross/medal and chain, watch, one small pair of inexpensive stud or sleeper style earrings in the ear lobe. 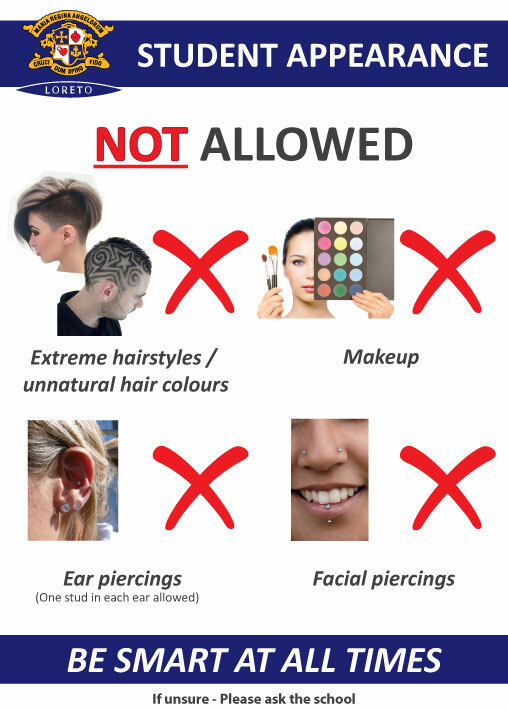 No other body piercings or adornments are permitted. Open Monday, Wednesday and Fridays from 8.00am to 8.35am. Black sturdy leather / leather- type shoes (no boots/pumps). Cheques should be made payable to LORETO HIGH SCHOOL.